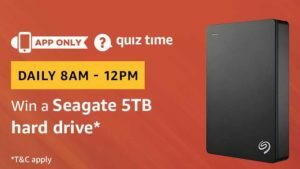 In today’s Amazon Quiz, you can win a Seagate 5TB hard drive which is available at Rs 10,999 on Amazon. It doesn’t need power supply to work & its 3.0 USB connectivity makes transfer from Windows and MAC superfast. So, don’t miss out on this chance. How to Answer and win a Seagate 5TB hard drive? Yet another day is here and we are back with Amazon Quiz answers. 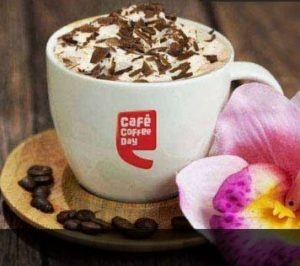 By just answering 5 simple question, you can stand a chance to win a prize everyday. 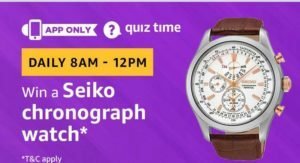 In today’s Amazon Quiz, you can win a Seiko chronograph watch, which is being sold on Amazon at Rs 17250. 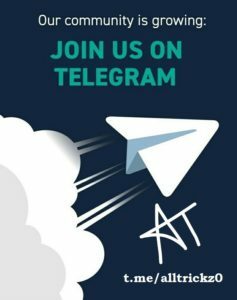 So, don’t miss out on this chance. How to Answer and win a Seiko chronograph watch? Amazon organizes Amazon Quiz daily from 8AM – 12PM and offers huge prizes everyday. By just answering 5 simple question, you can stand a chance to win that prize. In today’s Amazon Quiz, you can win Rs 75000 Amazon Pay Balance for free. So, don’t miss out on this free chance. How to Answer and win Rs 75000 Amazon Pay Balance for free? Amazon organizes Amazon Quiz daily from 8AM – 12PM and offers huge prizes everyday. By just answering 5 simple question, you can stand a chance to win that prize. 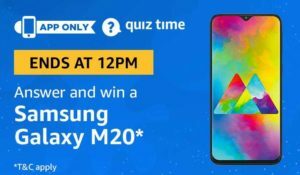 In today’s Amazon Quiz, you can win a Samsung Galaxy M20 whose 3+32 variant is currently available at Rs 10990. This phone was launched alongside Galaxy M10 on 5th Feb this year. 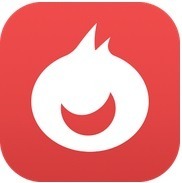 It can currently be bought via flash sale only. So, don’t miss out on this chance. 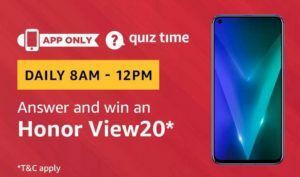 How to Answer and win a Samsung Galaxy M20?